Today we begin a short Advent series on the Fellowship of the Feminine Genius. We break open what happens in the power of community and what it means to come together in a circle and champion one another and to offer a place to be seen, known, and celebrated. 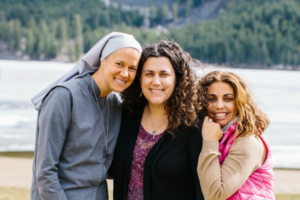 We use the relationship as Mary and Elizabeth as the model and share our own story of how we met, how God has used our fellowship to encourage and fight for one another and how to offer true friendship and love for one another. What stands out to you about Mary and Elizabeth’s friendship? When have women spoken into your life in life giving ways? What does a safe circle of friends look like for you? How do you need self-care this week? This year? In what ways do you need to grow in your ability to be a good friend to others? When was one time that you were hurt, leaving you feeling wary and hurt in future relationships with women? 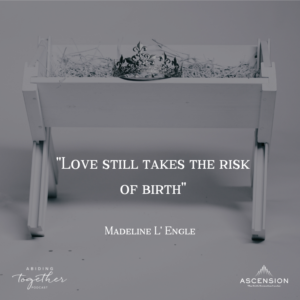 What is god asking you to risk so that something can be birthed in you this advent season?